Hi, and thanks for your interest in and support of ELCA Disability Ministries! 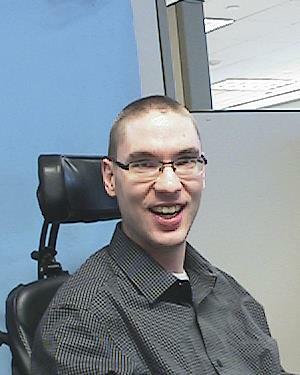 I’m Chris Ludwig, editor of the Disability Ministries Newsletter and member of the Disability Ministries Program Advisory Table (abbreviated as Advisory Table). This edition of the newsletter is focused on demonstrating how Disability Ministries along with young adult leaders like Emily Schmidlin ally and advocate, and how members of the Advisory Table have been working to achieve the goals of our program. Empowering leaders with disabilities within the church, showcasing potential and ability. Equipping synods, congregations and members with disability-related information and resources. Connecting and gathering people with disabilities in the church to foster inclusion and support. Emily Schmidlin has contributed a summary of her experience at the Summer Institute on Theology and Disability, explaining how her attendance (made possible through a grant provided by Disability Ministries) reinforced and expanded her leadership accomplishments within the church, building on her prior ELCA leadership experience as a member of the Definitely-Abled Youth Leadership Event (DAYLE) Planning Committee. The Rev. Brian Krause, an Advisory Table member, describes how his presentation at the Western States Youth Gathering helped equip congregations with the information and resources necessary to welcome people with disabilities within the church. Finally, Advisory Table members Anita Smallin and the Rev. Lisa Heffernan attended the 2017 Lutheran Services in America conference, working to connect and gather people in the disability community with advocacy and assistance groups within the church. I hope you enjoy the fall 2017 edition of the Disability Ministries Newsletter and that it sheds light on how representatives of Disability Ministries are accomplishing goals designed to make our church stronger, thanks to the presence and participation of people with disabilities. Any donation or contribution you’re able to provide to Disability Ministries will be devoted to accomplishing the goals described above. Thank you again for your support and interest, which is hugely appreciated. My name is Emily Schmidlin, and I had the privilege of attending the Summer Institute on Theology and Disability at Hope College and Western Theological Seminary in Holland, Mich., on May 23-26, 2016. My attendance was made possible thanks to a grant provided by Disability Ministries, part of Always Being Made New: The Campaign for the ELCA. I received the grant because I’m a leader, and I aim to encourage the participation of people with disabilities within the church through my example. This experience put me among 170 participants from a variety of religious backgrounds, gathered to empower and equip leaders with a variety of ability levels. I felt our time together gave outstanding networking opportunities. There are many faith-based programs around the country that empower people with disabilities, but very few events gather people from diverse backgrounds to share resources. As a leader in disability ministries on a national and congregational level, I am always looking for innovative ideas to engage, connect and empower people of all abilities. The workshops I attended during the event provided a wide array of new ideas, adaptable to individual needs. It was great to be among people who are so passionate about promoting all people to be empowered as leaders, and to share their spiritual gifts. Thank you to ELCA Disability Ministries for funding my attendance at the Summer Institute on Theology and Disability. 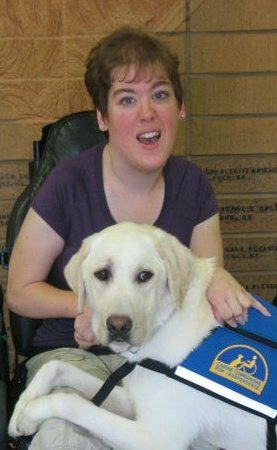 In July 2017, I represented Disability Ministries at the Western States Youth Gathering, which met on the campus of California Lutheran University, Thousand Oaks, under the theme “Dream Big.” During the event, I discussed the ongoing work of Disability Ministries and emphasized that one of our goals is to equip congregations with the information and resources necessary to welcome people with disabilities within the church, to hear their voices and to meet their needs. To accomplish this, I created and presented a workshop titled “Dreaming of a World Without Measurements.” I talked about how our world has so many ways of measuring people, especially people with disabilities. But these measurements can be very hurtful when those measured are found to be “less than” others. I told the boys and girls in the audience that on the cross we see the true measure of God’s love for us. It is that love that should be the measure whereby we view ourselves. The message of the workshop was well received—one boy told me it was the most impactful workshop he had been to that day. I look forward to assisting Disability Ministries to accomplish its goals by hosting workshops like “Dreaming of a World Without Measurements” at future gatherings, which informs congregations of the value in being supportive of and welcoming to people with disabilities within our church. It’s our duty to share the message of God’s radical inclusivity with others. In May 2017, Anita Smallin and Lisa Heffernan, ELCA Disability Ministries Program Advisory Table members, attended the 2017 Lutheran Services in America conference in Washington, D.C. This event brings together staff, board members and church leaders from more than 300 Lutheran nonprofit organizations to develop networks, gather for fellowship and experience learning opportunities about the ways in which these organizations work to serve more than 6 million people each year. Many of these 6 million beneficiaries are people with disabilities, and attending this conference addressed a stated Disability Ministries goal of connecting and gathering people in the disability community with advocacy and assistance groups within our church. 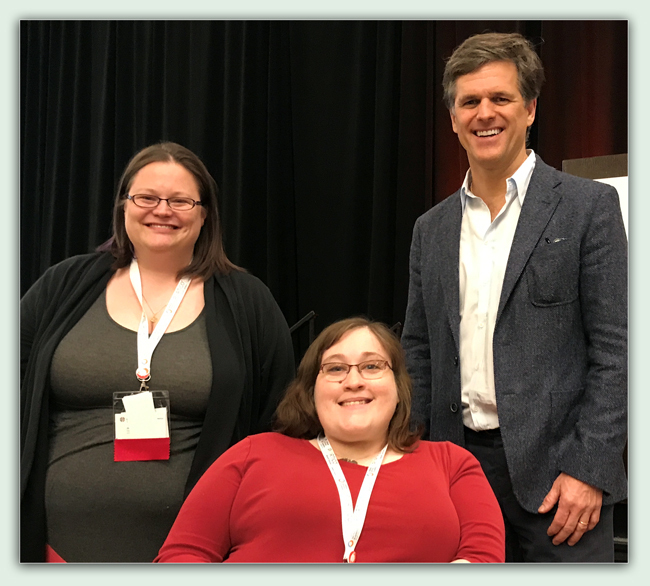 A highlight of the conference for Disability Ministries was the opportunity to sponsor Dr. Timothy Shriver’s keynote plenary session (Shriver is chair of the Special Olympics). It was great to hear how he considers his faith relative to his work with the Special Olympics and to see Disability Ministries featured at the conference. Disability Ministries is hoping to attend next year’s conference as well, which will be held in Pittsburgh. To update your email address or your communication preferences, please send a note to constituent.care@elca.org.